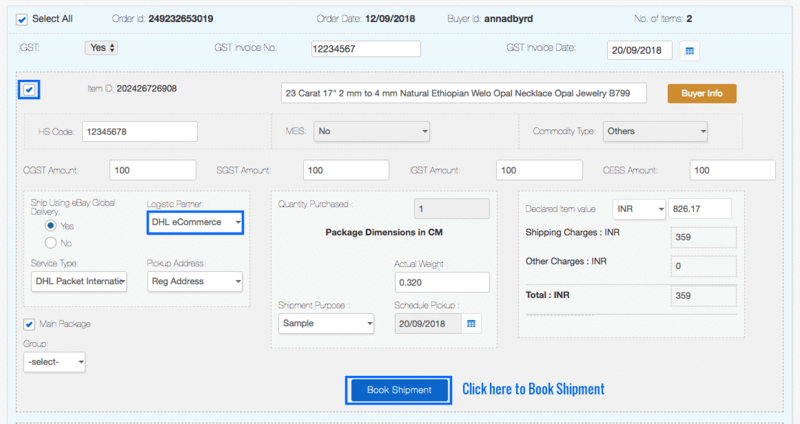 Step 1: Check the items that you want to book for Shipment. 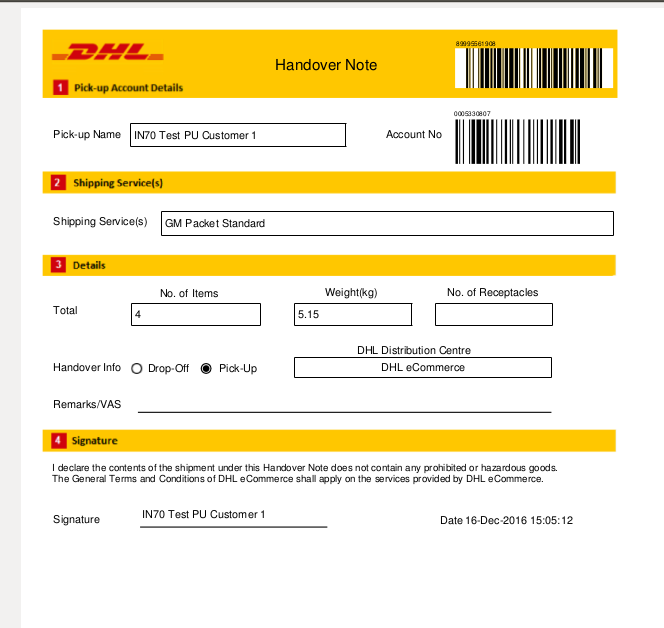 Fill all the details carefully with DHL eCommerce as shown. Step 2: Clicks on the button ‘Book Shipment’ and gets the success message. Seller clicks on the link ‘here’ to get the PDF. Step 3: After booking shipment, follow the path Shipment -> DHL eCom Create PickUp. Step 4: Select atleast 5 items per bag for pickup. If less, weight of selected items should be 5 kg or more. Click on the button 'Create Pickup'. Step 5: Seller will receive handover Note through email.